DOWNS READY TO CLOSE GAP! HAVING achieved their target of securing their semi-finals spot in the Caf Champions League, Mamelodi Sundowns are ready to regain top spot in the PSL. The Tshwane giants went into the belly of the beast, the gigantic Borg El Arab Stadium in Egypt over the weekend and booted out eight-time African Champions Al Ahly from a competition they have dominated for years. Despite losing 1-0 on the night, Downs advanced to the last four with a 5-1 score line on aggregate as a result of their five star performance at home last weekend. They set up another meeting with familiar opponents Wydad Casablanca in the semi-finals. 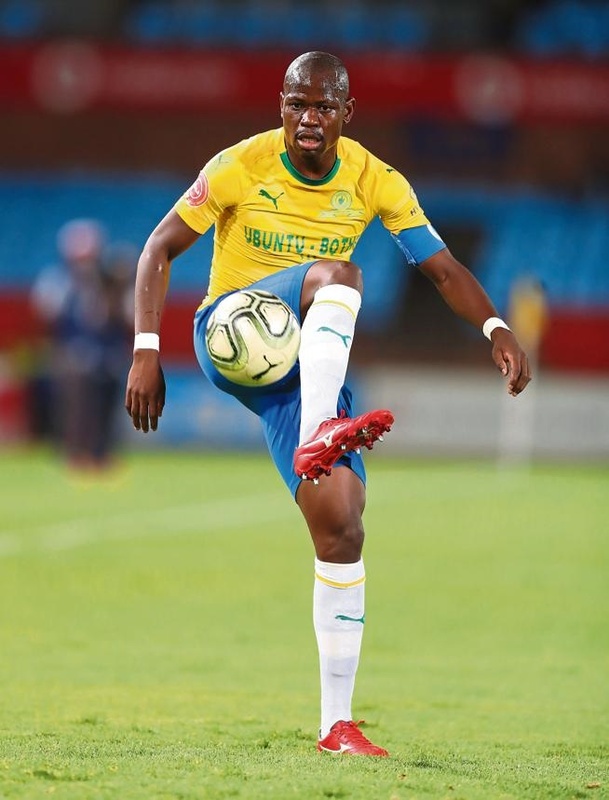 Downs skipper Hlompho Kekana, who played a key role for Masandawana against the African team of the century, said they have quickly turned their attention to the fierce title race. Title rivals Orlando Pirates have opened up a six point lead over Downs while they were away on Caf duty, but Kekana believes they can catch up.Sundowns, who are due to arrive back in the country today, are second on the standings, but have three games in hand. Two of their fixtures are at home against Baroka FC and Chippa United. But first on the agenda is a meeting with SuperSport United in the Tshwane derby at Loftus Versfeld on Wednesday (7.30pm). Downs, who have the opportunity to win a double this season, will be looking to reduce the gap. “We are aware of what has been happening in the league,” said Kekana. Kekana admits that it will be difficult to play a derby match just three days after an intense encounter with Ahly away. “We know how to approach different games,” added Kekana.